(July 31, 2018)- A traffic stop reveals drugs, suspended license, outstanding warrant, and a 53 year old man claiming he is 28 years old. On July 29th around 12:30 AM Cape Coral Police made a traffic stop on a vehicle for running a stop sign. The vehicle was occupied by two people. 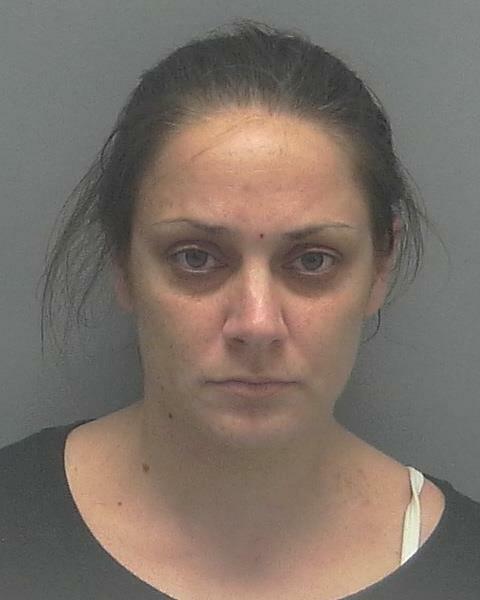 The driver was identified as Erin Marie Quinn (W/F, DOB: 03/16/1985, 3010 SW 2nd Ave) and the passenger was identified as Arnold Lee Allen Jr. (W/M, DOB: 07/09/1965). Quinn was found to have nine (9) current suspensions on her driver's license and possession of methamphetamine, heroin, and Suboxone. Allen Jr. first gave his date of birth as 04/23/1990, being 53 years old the officer pointed out that he did not look 28 years old. Allen Jr. was found to be giving a law enforcement officer false information. He was found to have an outstanding warrant for his arrest for Failure to Appear. Allen Jr. was later found to be in possession of methamphetamine. Quinn was charged with driving on a suspended license and three counts of possession of a controlled substance. Allen Jr. was charged with possession of a controlled substance, giving a false identification given to a law enforcement officer, and an outstanding warrant.